Washington (AFP) - Reem Dad, a 22-year-old from Saudi Arabia, is developing a platform for pilgrims and tourists to experience a virtual reality tour of Medina, one of Islam's holiest sites. Dad and Zahid were among 14 young women social entrepreneurs from the ultra-conservative kingdom who recently attended an intensive program at Halcyon, a Washington-based business incubator, to turn their ideas into reality. The initiative comes after Saudi women were given the right to drive in June, among reforms backed by Crown Prince Mohammed bin Salman raising hopes for greater gender equality despite an ongoing crackdown on women's rights activists. "Everything is changing now... There is space for females everywhere," said Dad, whose virtual reality program is called Taibah VR. "If a man wants to establish a company or wants to start up something, there's a process they go through -- the same process we also go through. So I feel we are equal," she told AFP. Other projects include an Arabic-language app to help autistic children communicate, matching employers and workers to reduce unemployment and underemployment, as well as a video game to motivate youths to engage in community service. The Saudi government's Vision 2030 aims in part to promote local businesses, including those run by women, whose participation in the workforce is expected to grow from 22 percent to 30 percent by the end of the next decade. That's still far behind most other nations. In the United States, where large gaps remain between women and men's employment rates, wages and job positions, around 60 percent of women participate in the labor force, according to the Brookings Institution. 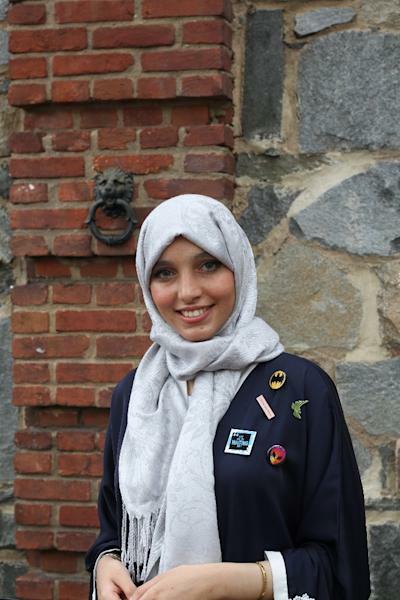 Halcyon fellow Asmaa Alabdallah, 22, founded BitGo, a Pokemon Go-like augmented reality game that uses gamification techniques to encourage community service. "Of course, we have a lot of challenges... but the most important thing is that you will never give up," she said, insisting like Dad that her greatest obstacle lay not in being a woman entrepreneur in Saudi Arabia as much as in finding local programming talent. The training was funded in part by Medina-based Taibah University, which launched a competition with support from the Saudi consulate in New York. 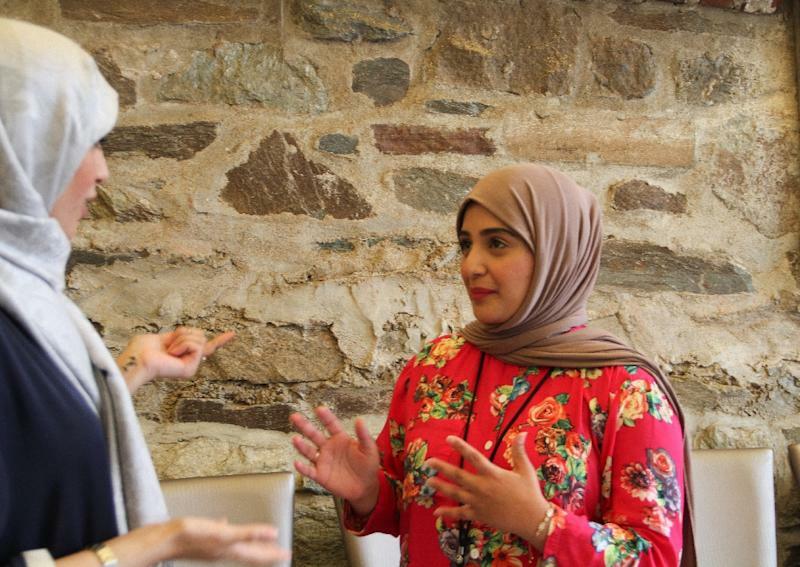 During their two-week stay, the women fine-tuned their business pitches, built up their strategic networks and participated in workshops on negotiations, sales and vulnerability. They got advice from large companies like Amazon Web Services, other startups and consultants such as Deloitte. The program ended with the women presenting their fledgling ventures to some 150 investors, philanthropists, as well as international organization and embassy representatives. Despite the optimism, numerous challenges remain in Saudi Arabia. Topping the list is the kingdom's guardianship system that prevents women from carrying out major decisions -- including traveling abroad, getting married or divorced and signing contracts -- unless they get permission from a male guardian like a husband, father or brother. "In a country like Saudi Arabia especially that has historically not been open to women getting access to these kind of opportunities, the fact that they were willing to do this program with all-women founders was very welcome," said Halcyon director of policy and international programs Josh Mandell. "We expect these women to return to Saudi Arabia not just as future leaders for their country and their region, but to start successful ventures." 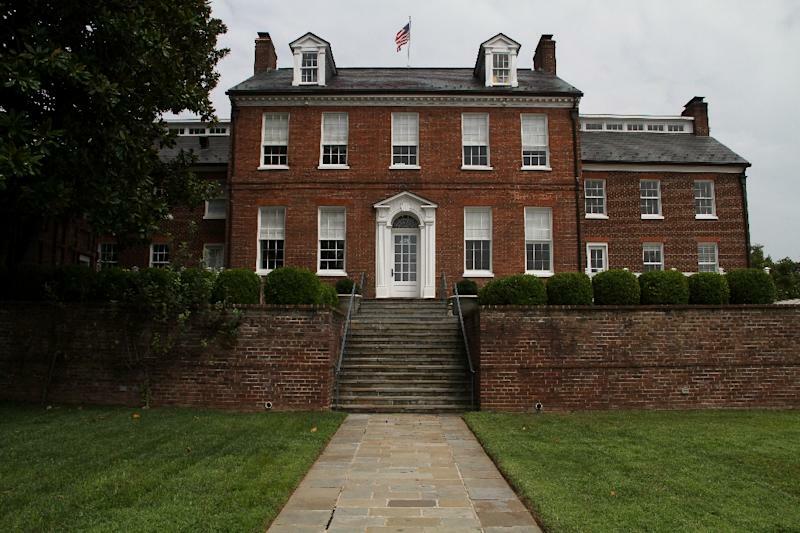 The women got workspace and housing at one of Washington's most illustrious addresses in the tony Georgetown neighborhood, Halcyon House, a sprawling red brick mansion with a sweeping view of the Potomac River. Since its inception in 2014, Halcyon Incubator's full-time fellowship has supported 61 ventures it says have raised more than $56 million and created some 500 jobs positively impacting 675,000 people. Last year, Halcyon became an independent non-profit organization that also encompasses public policy and the arts. It was launched by Kate Goodall and Japanese American biochemist Sachiko Kuno, a co-founder of Sucampo Pharmaceuticals and a driving force behind the Washington-based, female-led investment fund WE Capital.